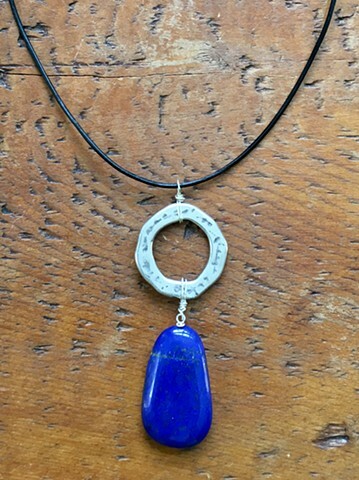 Gorgeous lapis lazuli with zinc circle pendant on black leather cord. Sterling lobster claw closure and 2" sterling chain extender. Approx. 16 1/2-18 1/2"